Does your PC make a little too much noise while churning through your applications and games? Well if it does you might be interested to know that Cooler Master has this week unveiled a new line of hybrid fanless power supplies which have been launched as the Cooler Master’s Silent Pro Hybrid Fanless series. The new Cooler master series of hybrid fanless power supplies offer over 90% efficiency with 80Plus Gold Certification and noise-free operation and are equipped with fully modular cable system, and centralised control of power supply and system fans within your PC. The new Cooler Master Launches Silent Pro Hybrid Fanless Series range is the first to offer a “fanless” mode, which has been designed to eliminate unneeded fan noise. The power supply fan can be completed turned off to essentially operate as if it were fanless. This mode persists until loads become greater than 200W, at which a safe mode will activate the fan and cool according to the level of the load. 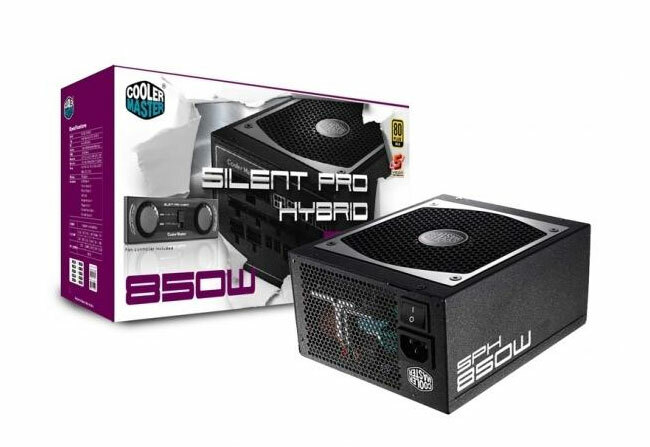 The Silent Pro Hybrid Series is now available for $299.99 (1300W), $249.99 (1050W), and $199.99 (850W).